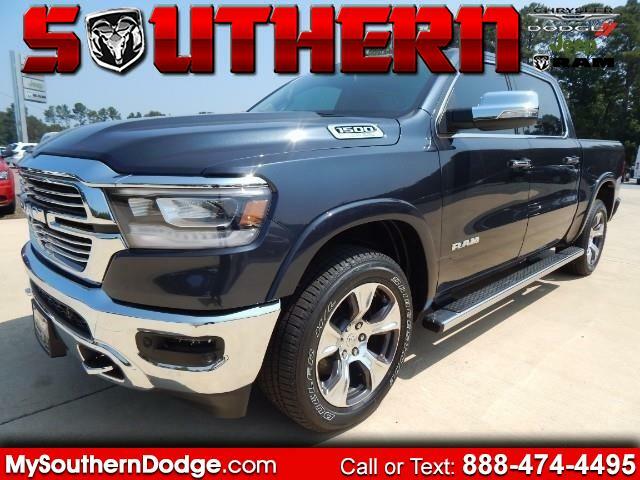 Contact Southern Chrysler Dodge Jeep Ram today for information on dozens of vehicles like this 2019 Ram 1500 Laramie 4x4 Crew Cab 5'7 Box. You appreciate the finer things in life, the vehicle you drive should not be the exception. Style, performance, sophistication is in a class of its own with this stunning Ram 1500. Taking the road less traveled has never been more fun than with this 4WD. With improved performance, mileage and acceleration, this 2019 4WD Ram 1500 Laramie 4x4 Crew Cab 5'7 Box is king of the off-road. You can finally stop searching... You've found the one you've been looking for. You could keep looking, but why? You've found the perfect vehicle right here.